The local office is all about its people. 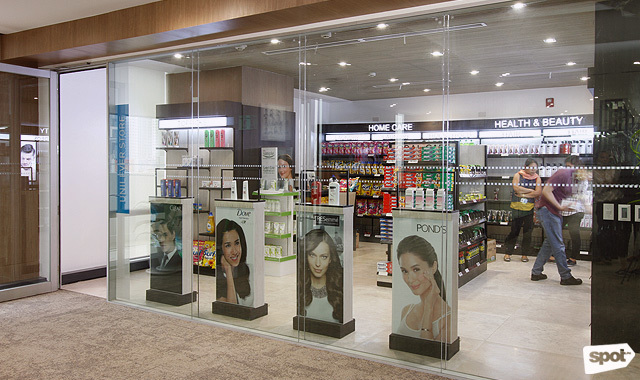 (SPOT.ph) You may not know it, but Unilever is a big part of your life. You’ve most likely brushed your teeth with Closeup toothpaste before heading to the shower (perhaps sanitized with Cif) to wash your hair with TRESemmé shampoo and treat your skin to Dove’s creamy suds. Your breakfast sandwich is probably slathered with Lady’s Choice mayonnaise; lunch can’t be too bad with your favorite ulam with rice at the cafeteria, spiked with a dash of love straight from a bottle of Knorr Toyomansi. You and two billion people all over the world use Unilever products to look and feel good, every single day. It is one of the most successful consumer goods companies, ranked number-one in its sector in the 2014 Dow Jones Sustainability Index, and ranked third by LinkedIn as the Most Sought After Employer across all sectors, also on the same year. Unilever has an ambitious vision that is attuned to the times. They plan to achieve their profit goals while lessening their environmental footprints and increasing the company’s positive social impact. Their strategy is in place, and rolling smoothly, thanks to you. But Unilever’s leaders fully understand that their success is also due in large part to an invaluable asset—its people. The office was designed for agility and collaboration. After 89 years in their Paco headquarters, the company decided to give their employees a new home at BGC. While this was met with excitement by some, others had reservations about moving to an unfamiliar place. Unilever anticipated the separation anxiety and created a special team to usher its prized employees to the new location. 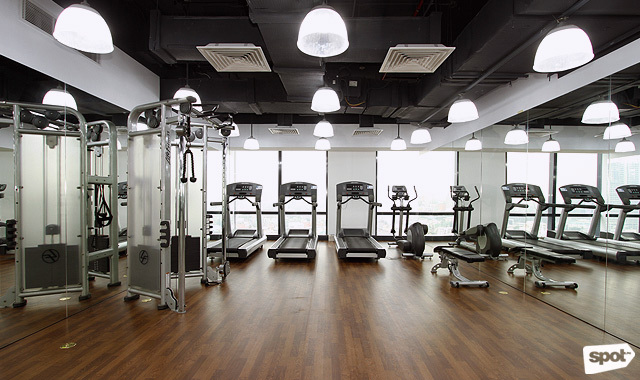 The company’s management also engaged the staff in the conceptualization of the design, as well as the building process. “They’ve been involved since day one,” explained Apples Aberin, Head of Public Relations for Personal Care. 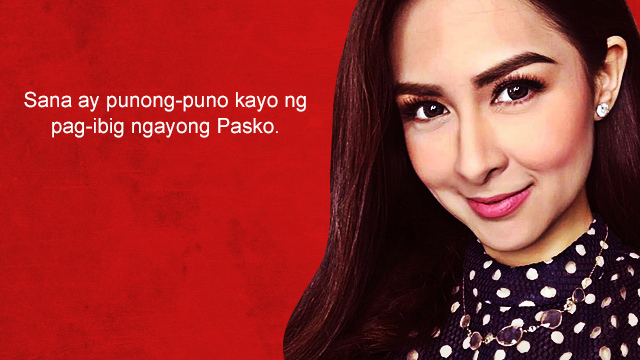 “We had forums and talakayans so we understand how they’re feeling; we tried to get a pulse. One of the things that I really admired about this whole move was how the Change Team and the Leadership Team took care of our people. We knew it would be change for everyone, but we made it as comfortable and as easy as possible,” Aberin continued. The end result, a gleaming, light-filled building in the heart of BGC, is a remarkable design feat which goes to show that sometimes, more heads are better than one. Its architecture and interior style aren’t of the shock-and-awe type, but they reveal a thoughtful imagination of the modern working space that encapsulates a company’s values and its employees’ sentiments. The lobby is adjacent to the Lipton Café where people can meet over coffee served by Toby's Estate. 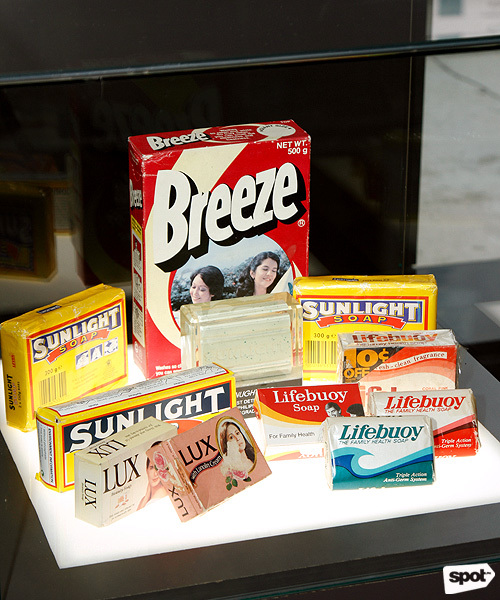 The Heritage Gallery features the company’s 90-year-long history and some of its most iconic brands and campaigns. 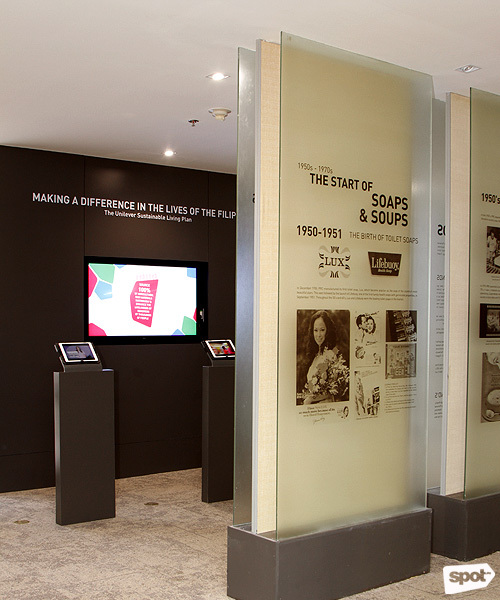 Visitors will get a sampling of Unilever’s unique culture from the get-go, with designs created by the Budji Layug and Royal Pineda team of architects and designers, as well as Adrianse Group Philippines. At the 7th floor reception area, guests are greeted by a cozy, welcoming lounge anchored by two handsome Kenneth Cobonpue chairs and cushy sectional sofas. Open shelves with plaques and trophies sentinel a dramatically lit gallery devoted to Unilever’s heritage. The aroma of freshly brewed coffee drifts from a Toby’s Estate café right behind the reception desk, driving home the point that this is not just another office space in BGC. 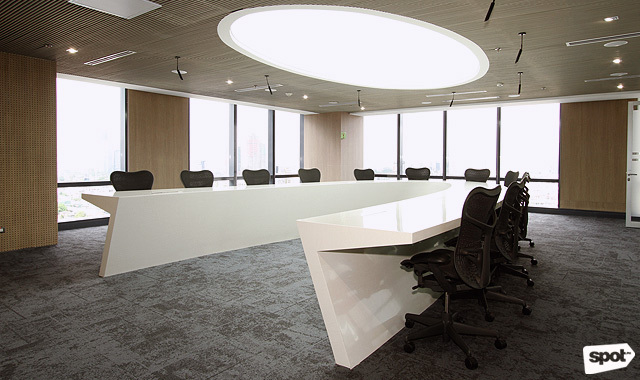 The Malasakit Boardroom features a U-shaped table, inspired by the Unilever logo. 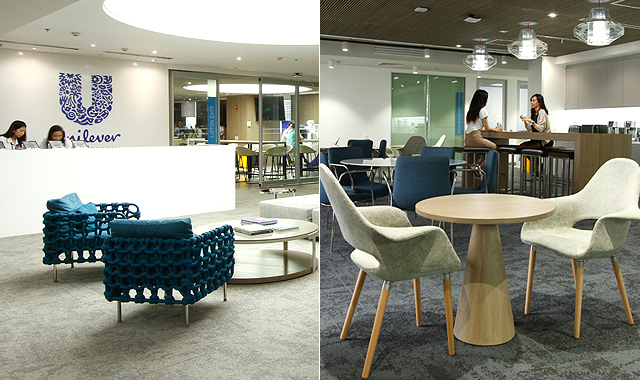 Interaction is encouraged in the Unilever workspace, which explains the open sprawls and the 70-plus meeting areas. “We wanted to make it agile. So everyone has wide open spaces. We have a lot of collaboration areas...There are no barriers,” Unilever’s Marketing Director, Neil Trinidad says. These spaces were also given names which have been in use in the Paco headquarters, a subtle gesture that keeps the company rooted to its humble past. Karunungan is a room used for trainings, workshops and presentations, while the executive boardroom is called Malasakit. 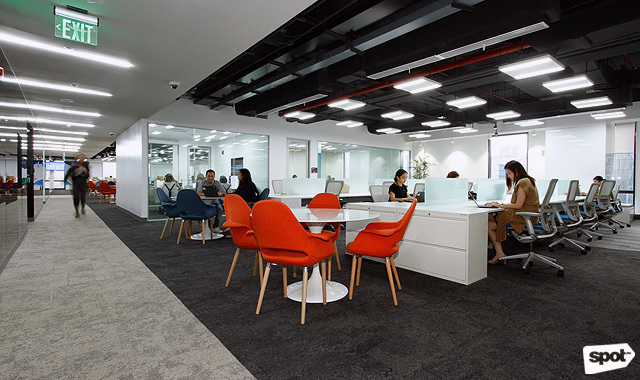 All of these spaces are retrofitted with the latest technological innovations to enable efficient communication even with the company’s global partners. The Forum is a 65-seater circular seating gallery for trainings, cascades, and conferences. 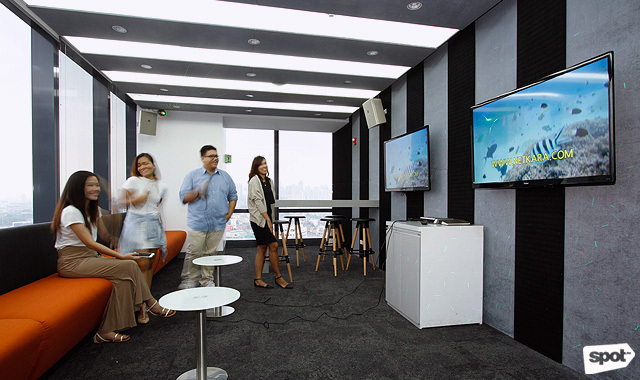 The company also picked up ideas from other Unilever offices which could be adapted for its Manila headquarters. 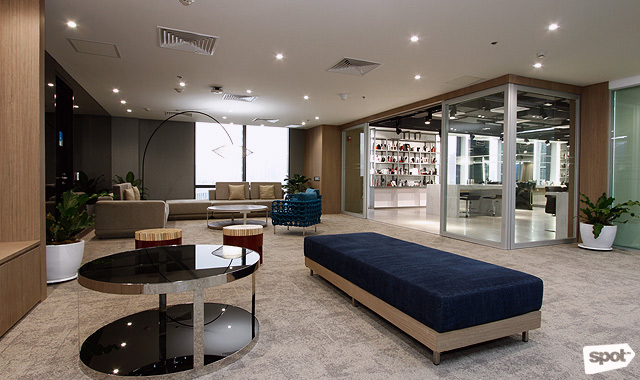 Aberin and Trinidad led us to a large meeting room that features a concept borrowed from Unilever’s Thailand office. Called The Forum, the space is designed like an amphitheater with wood-clad tiers forming a half circle. Cushions were added for comfort. 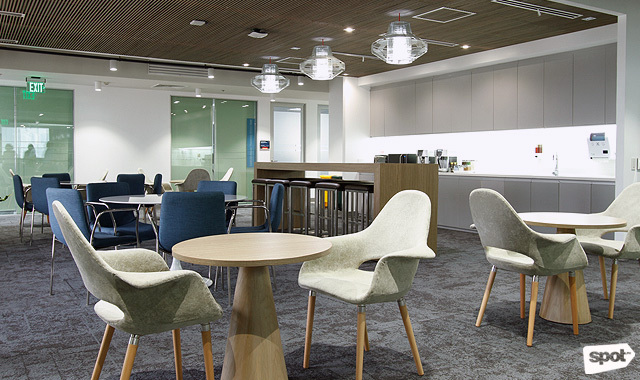 Unlike the other meeting rooms, the room exudes a more casual vibe and encourages easy dialogue. Employees have the option to work anywhere in the office that feels most productive for them, as promoted by the Open Desk Policy. Flexibility is another hallmark of Unilever’s progressive vision. With the current traffic situation, management has allowed its employees to work from remote areas such as their homes or coffee shops and restaurants. This flexibility applies in the work area too, with employees allowed to eat when they want to. There are open pantries located at strategic points within the workspace, with trash bins labeled for easy segregation. The office pantry offers unlimited coffee and tea to make sure employees are always fueled to work. In a time of dramatic climate change, sustainable living has become the company’s battle cry. It has aligned its vision seamlessly with its corporate practices and policies. The building is compliant with LEED standards: Temperature is controlled, available light is harnessed, trash is segregated, and paper is recycled. Unilever also initiated a project to recover and recycle used sachets. 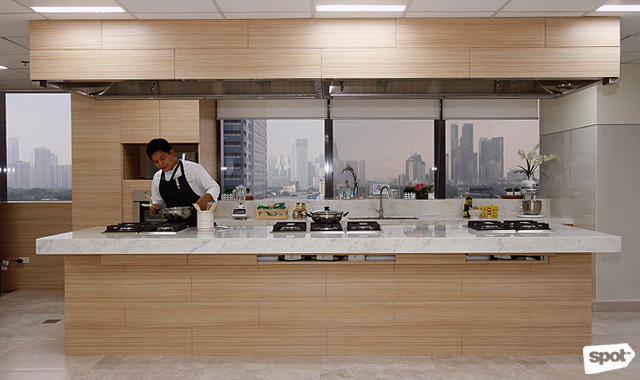 The Knorr kitchen is a live demo kitchen where in-house chefs and employees can test recipes. The company’s executives also wanted a strong sense of place and identity, incorporating Filipino artisanship into the overall concept. This explains the accent pieces made by renowned Filipino brands. “We wanted to make it a world class Pinoy design,” Trinidad exclaimed. Aberin adds, “Unilever is a global company, but at the end of the day, our heart here is Filipino." 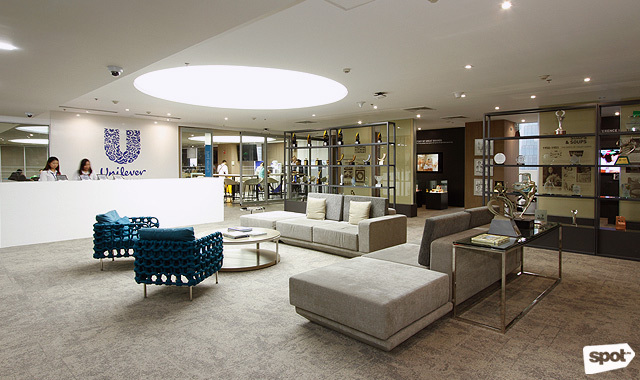 The Unilever Store is a cashless shop exclusive for employees wherein they can purchase Unilever products. 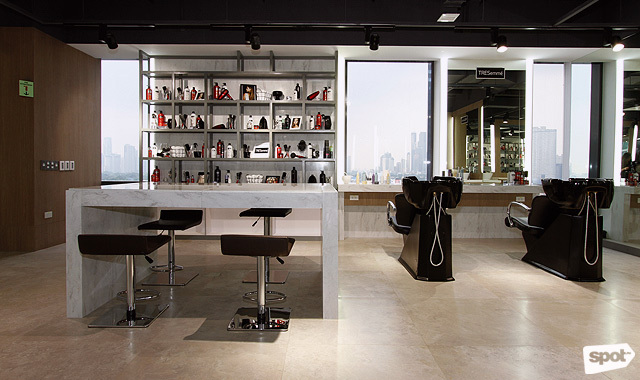 This salon will soon be open for haircuts and hair styling! Employees can sing their hearts out at the Karaoke Room. That explains the daycare center, the gym, the store where people can buy Unilever products, a quiet room for meditation or calm moments, a salon, and believe or not, a karaoke room complete with mood lighting and the best audio system, available whenever an employee feels the need to belt out a few tunes. “They’re very empowered, there’s a lot of trust in this system,” said Aberin of Unilever’s employees. “Our attrition rate is low. Our HR department even won an award, the best among all Unilever companies worldwide,” she continued. At the time of our visit, the employees seemed in an upbeat mood, a rarity in a highly competitive environment. They seem happy with the spaces they have co-created. And, really, who wouldn’t be?